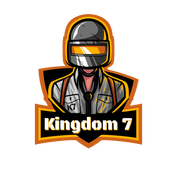 The PUBG Israel is welcoming new and experienced players as one. In our community you will learn everything you'll need to be able to play. The Community competes in all sorts of different categories and tries to reach the top places in the list of the PUBG World Tournaments! We hope that all of our players will progress successfully and succeed in acquiring a powerful and experience! We are supported By K7, Best regards : Yossi & KEISAR​ the Owners."